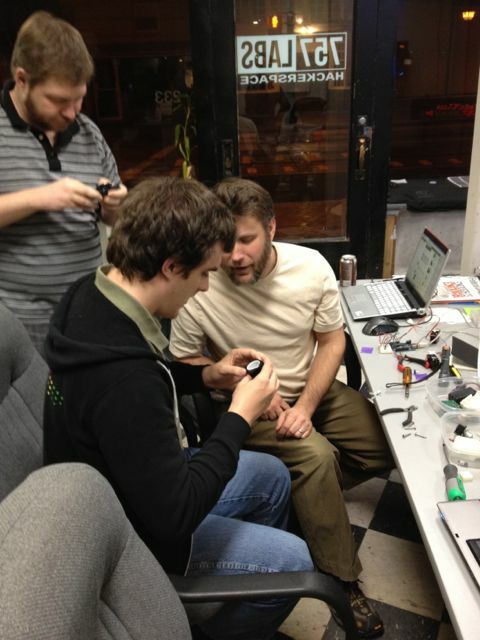 In addition to our regularly scheduled Microcontroller Monday hack sessions at the lab we are pleased to announce that the first Monday of each month, starting in February (2/6/2012), we will be upping our game and having a more formal presentation session. The February 2012 session will be all about the different microcontrollers that are available today, what they are and an overview on what they can do and how you (yes you) can get started using them. Whether you are a novice or a seasoned veteran there will be something for everyone during this session presented by the lab's own TJ. The sessions starts at 7:00pm EST on 2/6/2012 and is open to the public. If you have been interested this is your chance to participate.